Hunter is a professor of art and archaeology at Princeton and the curator of Modern Art at the university museum. 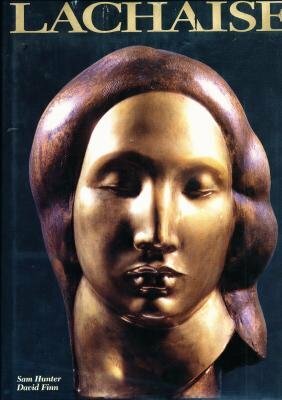 As such, he is eminently qualified to undertake this beautifully produced examination of the life and works of Gaston Lachaise (1882-1935). He discusses Lachaise's works, which are rightly described as still controversial. Lachaise's massive female nudes, female fertility figures, and works of "disturbing eroticis" are examined in the context of the artist's life and the age in which he worked. The quality of reproduction is excellent, and many sculptures are photographed from different angles. These challenging works are especially overwhelming when seen together. This volume adds an important new dimension to the study of Modern Art and should be acquired by every serious art library. Martin Chasin, Adult Inst., Bridgeport, Ct.